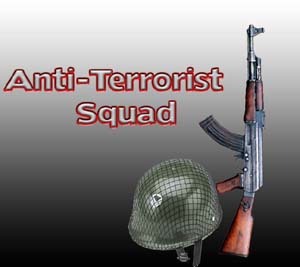 Bhatkal, Aug 13, 2014: A team of the Anti-terrorist Squad (ATS) of the Jaipur police has been camping in the town to collect information regarding two Indian Mujahideen (IM) members from the town, who are alleged to have had a role in bomb blasts and acts of terrorism across the country. The team is in the town for the last couple of days and went about collecting information till Tuesday evening. Ten suspects had been arrested for their role in the bomb blast at Jaipur in April this year and in acts of terrorism. During questioning, the suspects had mentioned the names of Shafi Armar and Sultan Armar, hailing from the town. Cases had also been registered against the two. The ATS team suspects them to have fled to Karachi in Pakistan. The ATS team, comprising inspector Majilal, Kailash and Bajirao, visited the town police station. The team also visited Mugdum Colony. They met the brothers of the suspects and collected information. Bhatkal deputy superintendent of police Mutturaj confirmed the visit of the ATS team. He said that the police department was co-operating with the ATS team. It has become a practice in recent times for such anti-terrorism agencies to visit the town, whenever incidents of terrorism or bomb blasts occur anywhere in the country.